The built environment is responsible for an estimated forty-five per cent of all greenhouse gas emissions. As the greatest opportunities for reducing these emissions occur during the briefing and design processes, the pathway to better design lies in preparing environmental briefs, and using these to drive building design and produce buildings of high environmental performance. 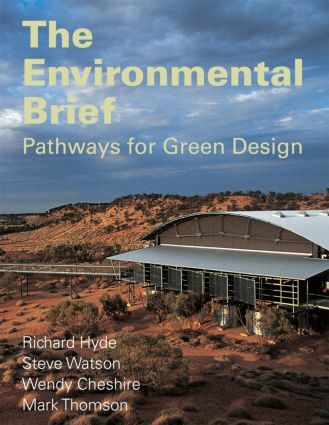 This process-driven book looks at the theoretical issues involved in an environmental brief, and outlines methods by which architects can approach the writing of a brief that considers all aspects of the natural and the built environment, and relates these concepts to a number of case studies from around the world.